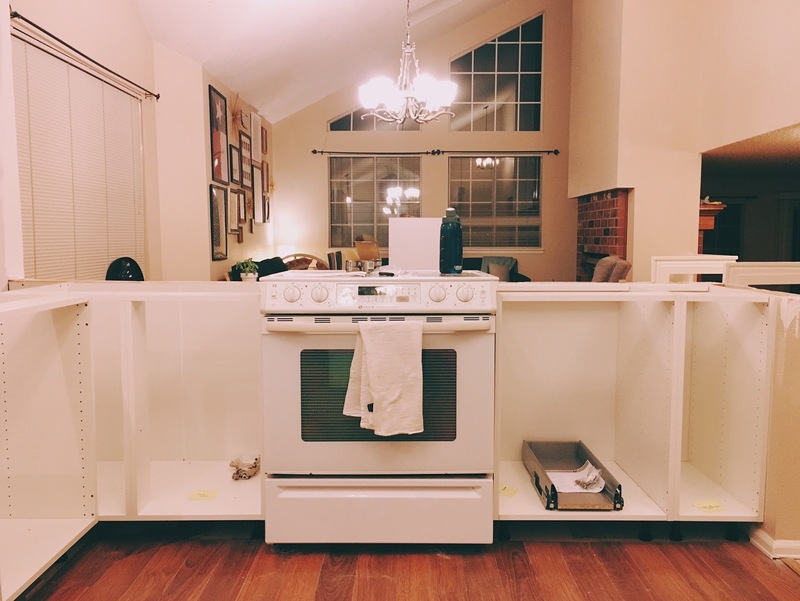 When Andrew and I decided we wanted a bigger place because of the incoming baby, we had trouble finding exactly what we wanted. We had a quirky list and the home on the market here were going fast. We knew that we wanted a home with character, something that we could possibly make into a home we would love. I spent months watching things go on and off the market but still not finding anything that quite matched what we wanted. Last August, on a Friday I was doing my usual browsing, and I found a home in our price range, cute, and totally workable. That next day we were looking at the place, and the day after that, we were putting a continent bid on the Foxtail Home (which I'm now calling). The Foxtail Home matched the majority of out "must have's," except a kitchen that over looked the living space. We knew that the first thing on our list, before Ryan-Kate, would be to knock down a wall to make it an open concept living space. 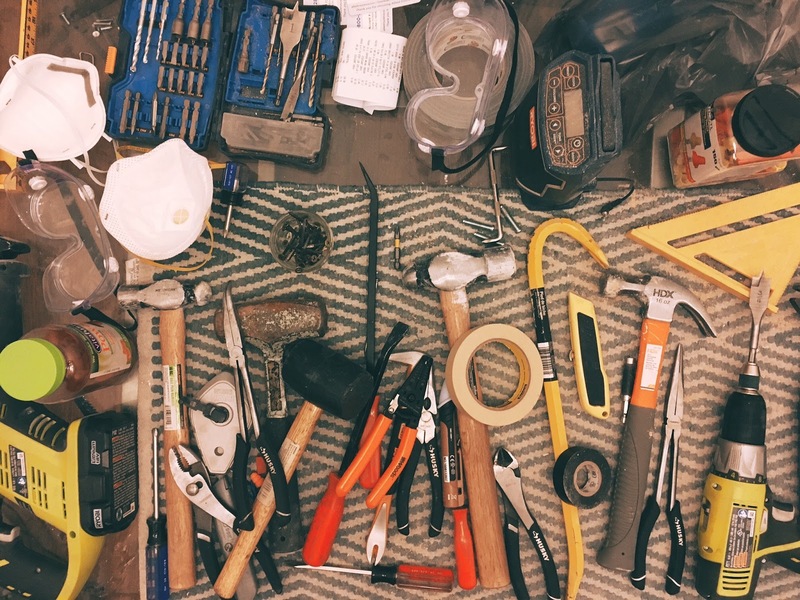 During this time, I was about 6 months pregnant, and taking on a renovation project was stressful, to say the least. Andrew and I compared prices, weighed our options, and then decided to pull the trigger. The cabinets are Stockholm Style from Home Depot in a white finish. 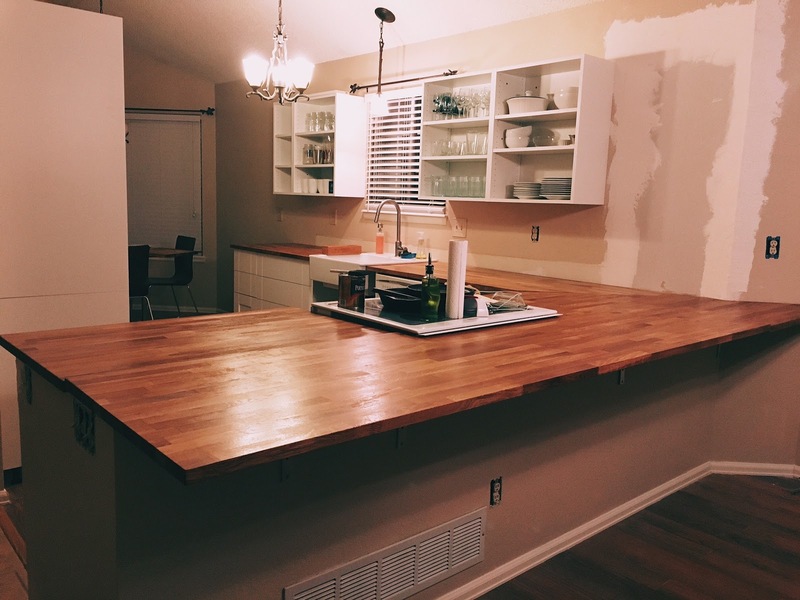 Our countertops were purchased from Ikea in oak. 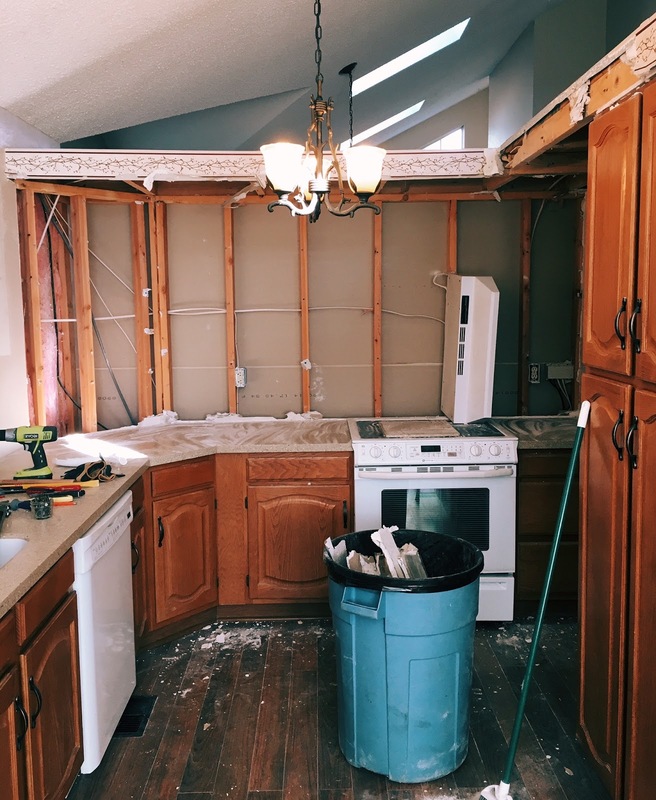 We wanted to keep the cost low and kitchens are by far one of the priciest removing jobs in a house. If you can afford, do the preset boxes. Saving on cost was one of our top priorities, so we had to build all our boxes. It lacks quality, but we did what we had to. If you had pregnant brain like I did, then sometimes you get it wrong and get frustrated. Plus, it saves you time and maybe a crocked door or two. Have a faux kitchen. Just a place where you can make meals and not have to have to fish for your kitchen things everywhere. We did this well and got super creative. We had our fill of crockpot meals, let me tell ya. Know your limits. A couple of tired evenings, Andrew was putting together the door handles and he put the holes on the wrong side. Twice. Get all the help you can get. 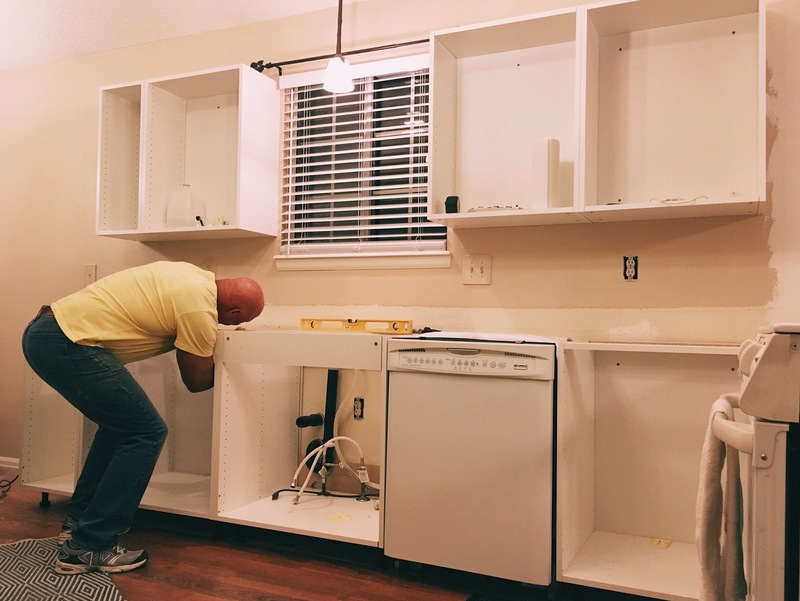 From the demo to the assemble of the cabinets to the backsplash, we had help. Friends pitched in and both our fathers came up at one point to help with different parts of the process. Capitalize on momentum. 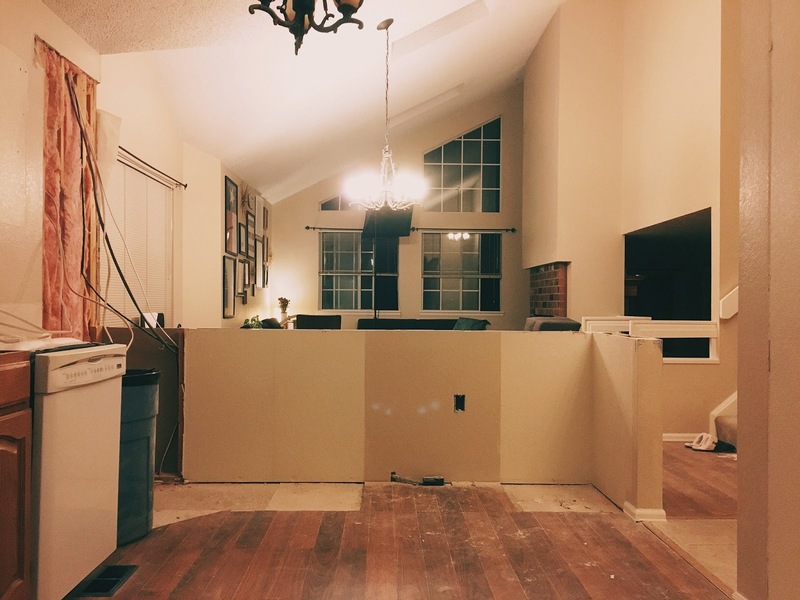 We moved in October and started renovating in November. Our goal was to start and finish before the bay arrived, but because she came 10 days early, there are 10% of things to finish on our end. Needless to say Ryan-Kate slowed us WAY down. So when you have momentum, keep it up. Now these are not the latest up-to-date pictures, but I will have more coming soon! Stay tuned!